February 5, 2014 by beWARM. A cell phone was thrust at me, bearing this message: He needs you….he is outside. 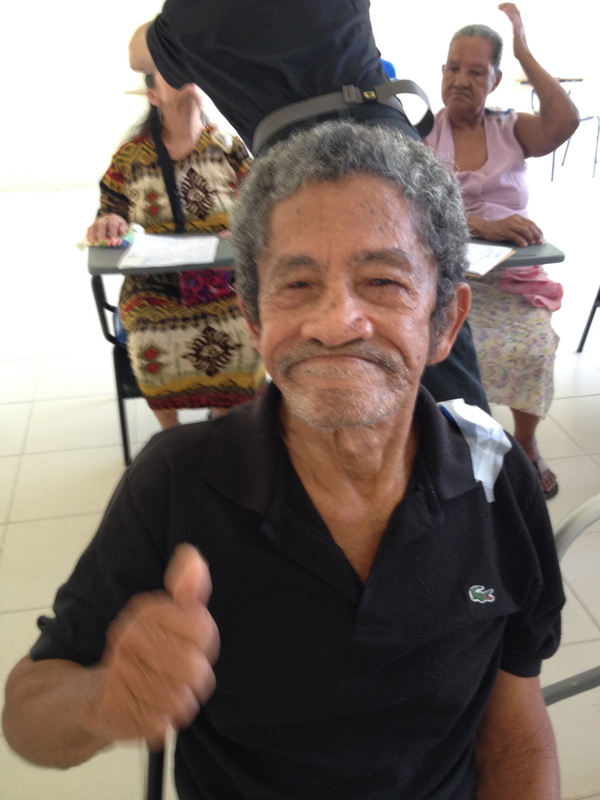 It was nearing the end of our MMI project in Cienaga, Colombia, and registration was closed. Moved by this earnest request, I attempted to get more details. With my fractured Spanish, I was able to understand that “he” was “especial” and couldn’t walk. He was near the gate, with his parents. I asked if I could see him, and they hurried out to retrieve him. Very soon, a mother and father approached, pushing a wheelchair that held a boy who appeared to be around 6 years old. 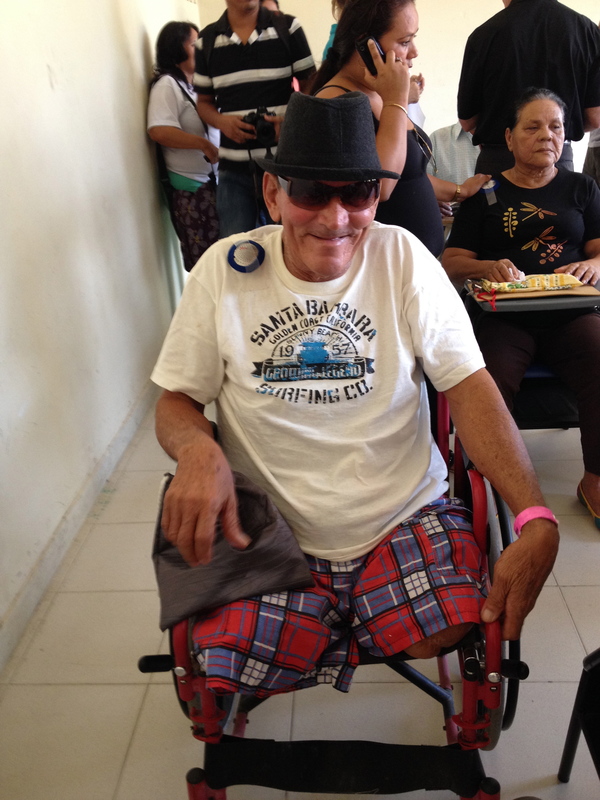 He was severely handicapped – so much that at first sight, my heart sank. What, if anything could we do to help him? The faces of his parents, smiling and hopeful, prompted me to bring them inside. We just couldn’t turn them away, I thought. As we entered the area where patients are screened by the doctors, the sad look on my husband’s face answered my question. I broke down, the weight of this realization overwhelming. Surely there must be something we can do or say to this family, I said tearfully. Gently, my caring husband leaned over to take a look. This beautiful young man suffered from osteogenesis imperfecta, a disease that causes weak bones that break easily. At present, there is no cure. 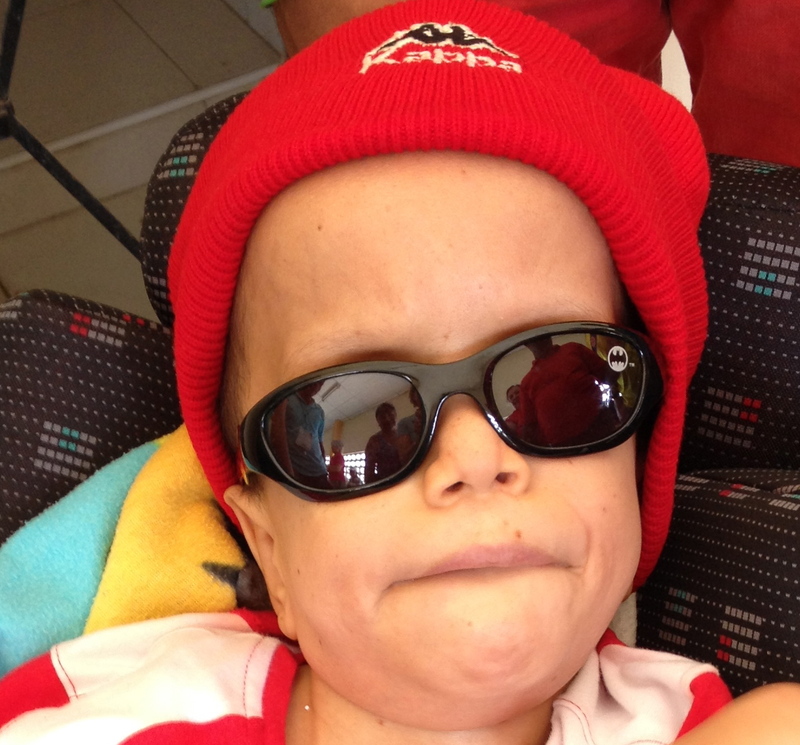 His parents brought him to our clinic because he complained of burning, itchy eyes. They were thrilled when he received artificial tears and a pair of sunglasses. And his smile was precious. Sometimes the smallest gestures can make the biggest impact. Thanking us profusely, they left the clinic, as the patients who requested that he be seen watched and smiled – and thanked us as well. – except for our smiles, tender touches, and, in extreme cases, our prayers. Our success stories were many. 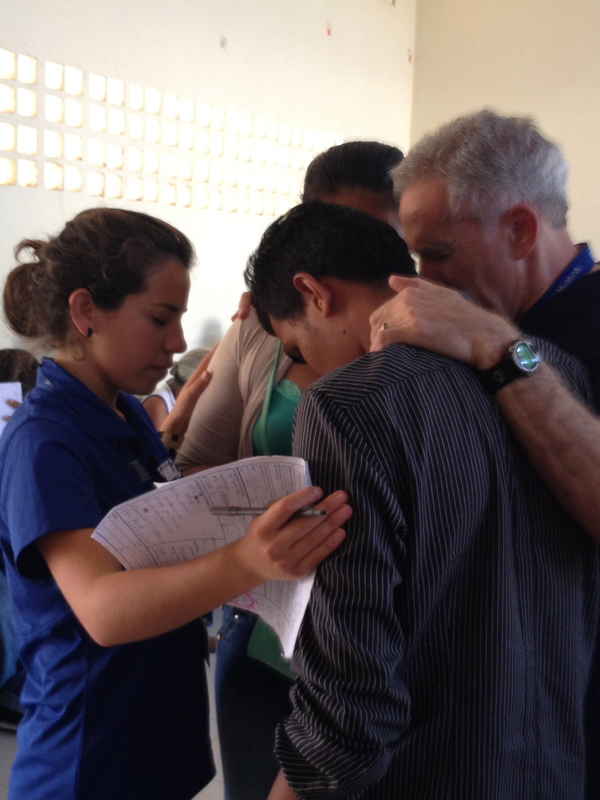 Approximately 4, 400 patients were seen; of these, only about 500 were discharged. 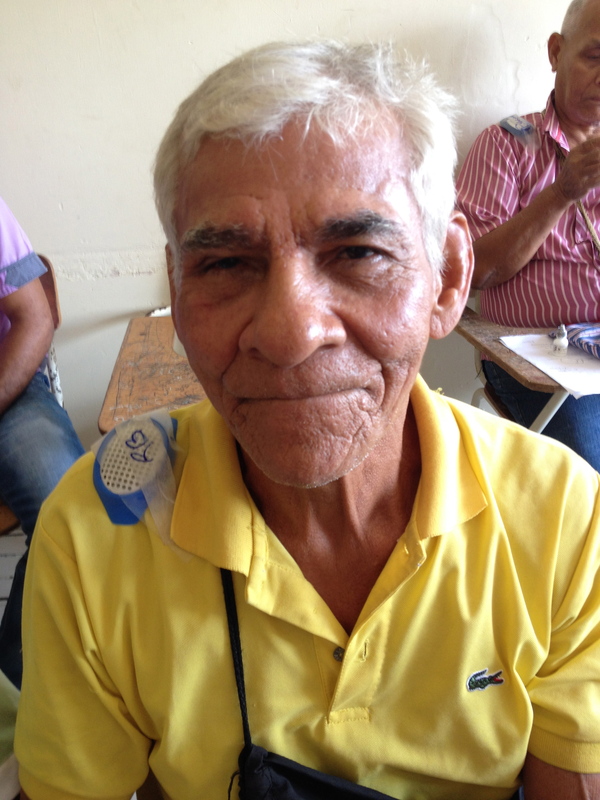 All others received glasses, and 183 patients had cataract surgeries. Though I continue to reflect on the valiant grace and quiet acceptance exhibited by the many patients with irreparable eye disease, the thoughts of the many people whose vision improved because of our project bring comfort…and gratefulness for the opportunity to serve them. 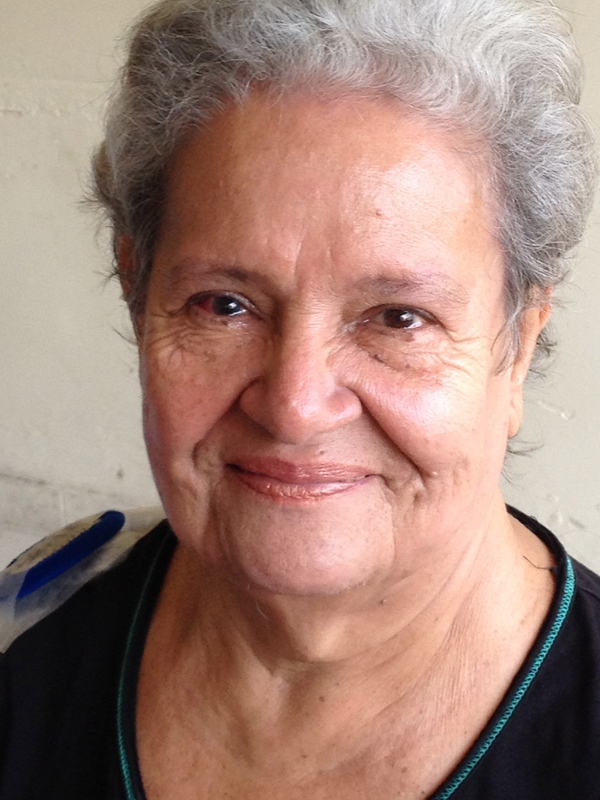 As one of our post-cataract patients said, Your group has changed many lives. That is true indeed – but the fact is, in our efforts to bring the light of Jesus to our patients, our hearts are changed as well. As a parent with a child special needs…thank you for taking the extra few minutes with the young man and the family. Many times we get pushed to the back burner, it’s nice to be up front every once in while. Our children have just as much value in this world as a typical individual. As a parent…we are doubly Blessed! Just one beautiful slice out of two weeks of stories. You blessed many! on February 5, 2014 at 9:21 am | Reply beWARM. And they blessed us even more…. on February 5, 2014 at 9:20 am | Reply beWARM. Dear Lisa….Your words make my eyes well up once again! Thank you so much for your thoughts – and for your enduring dedication and love for Anna, each and every day of your life. You – and parents like you – are an inspiration to all of us. May God richly bless your loving heart…. Your ministry in the MMI Project reminds me of a verse I read this morning. Isaiah 58:11 You bring so much light to a dark world. God bless you and your dear husband in all you do. on February 5, 2014 at 10:23 am | Reply beWARM. Thank you, Jean. We could not accomplish anything without our fantastic team, the MMI staff in Colombia, the support of the local pastors, and the many translators and volunteers who help us every year – and most important, God!!! Your Scripture verse is beautiful, once again bringing tears. For someone with a big, tender heart, Toni, to see so many who cannot be healed must be very tough. Yet, in those cases, you and the team continue to extend touches, smiles and comforting words that can be like healing balm. We are blessed to hear of your experiences and to see faces to be remembered. I am reminded that I CAN DO the same wherever God has me ‘on mission’. My vision expands, and my faith is stretched. on February 6, 2014 at 5:23 am | Reply beWARM. Thanks for sharing, Julie! I think each of us is “on mission” in one way or another; we don’t have to travel to a Third World country to extend God’s love to others. In fact, this can be a daily ‘mission’! on February 6, 2014 at 5:24 am | Reply beWARM. Frannie, I see you doing the same…here…and often…..
on February 7, 2014 at 6:14 pm | Reply beWARM. Gracias tan mucho por la maravillosa oportunidad de servir a tu pueblo! on February 16, 2015 at 6:42 am | Reply beWARM.